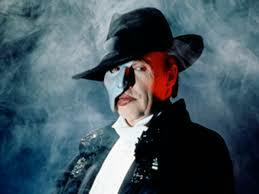 Michael Crawford: What terrible fates have befallen The Original Phantom? 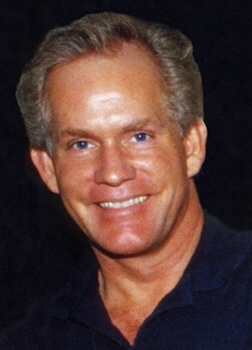 In 1995, Crawford was seriously injured in an accident during a performance of the $70m EFX show in Las Vegas – a show which saw him slide from a wire at the back of the 1,700-seat MGM Grand Theatre and drop 12 feet onto the stage. 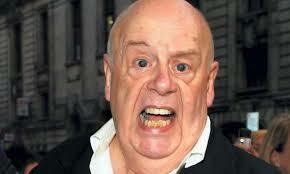 In 2004 he was cast as the obese Count Fosco in Andrew Lloyd Webber’s The Woman in White. The fat suit caused him to sweat so profusely that he had to withdraw from the show. Dehydration and exhaustion developed into the post-viral condition myalgic encephalomyelitis (ME) and it took Crawford six years to fully recover. Michael is now starring in The Go Between at the Apollo Theatre, Shaftesbury Avenue. The role of Phantom is currently played by Ben Forster, who rose to fame in ITV’s Superstar. The role of Christine Daaé is generally cast with two lead actresses sharing the role. The second actress generally plays two shows per week. Sarah Brightman is currently completing a world tour which will end in Mexico. Post-Phantom, Brightman enjoyed huge success to become the world’s richest female classical performer, with an estimated fortune of £36m. A young Sarah famously hit the Top Ten in 1978 with “I Lost My Heart to a Starship Trouper and in 2015 it looked like life would bizarrely imitate art when pictures were released of Brightman training for a mission to the International Space Station. Back on Earth, alternate Christine, Claire Moore is now a highly respected vocal coach and famously originated the role of Ellen in the Drury Lane production of Miss Saigon. The role of Christine is currently played by Celinde Schoenmaker and Alternate Christine, Harriet Jones. Steve Barton; charming, handsome and a huge loss to Musical Theatre. In 2001, Steve Barton tragically passed away aged just 47. It is speculated that he may have taken his own life though this is disputed and early reports cited heart failure. Later in his career, Steve took over the lead role of the 4th Phantom in the Broadway production. His matinee-idol good looks also earned him roles on TV’s “The Young and the Restless” and “Another World” and his death was a huge loss to the world of entertainment. The role of Raoul is currently played by Nadim Naaman. Rosemary “Rosie” Ashe is currently touring in Sister Act, playing the role of Sister Mary Lazarus. In 2000, Ashe was nominated for an Olivier Award for her role as Felicia Gabriel in The Witches of Eastwick. The role of Carlotta is currently played by Megan Llewellyn. Mary Millar (real name Irene Mary Wetton) became best-known for playing Rose (from series 2 onwards) in TV’s Keeping Up Appearances. In 1960, she flew to Broadway to understudy Julie Andrews in Camelot. Her final stage role was as Mrs Potts in Disney’s Beauty & The Beast. Sadly, Mary passed away in 1998 after a battle with Ovarian cancer. The role of Madame Giry is currently played by Jacinta Mulcahy. After creating the role of Meg, Janet Devenish went on to appear as Nicole in The Baker’s Wife and is now cultivating the next generation of performers as Head of Tring Park Associates. The role of Meg Giry is currently played by Daisy Alice Hulbert. 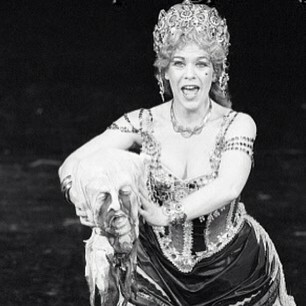 Now retired, David was last seen on stage at the 25th Anniversary performance of Phantom of the Opera. Notable West End credits include Passion, The Fix and Dirty Dancing as well as screen acting and writing. The role of Monsieur André is currently played by Mark Oxtoby. John Savident enjoyed many years as a resident of Coronation Street. Now retired, John Savident’s life has proven at least as dramatic as any character in Musical Theatre. Aged just two, he and his family escaped across the English Channel in a boat from Nazi occupied Guernsey. After creating the role of Firmin in Phantom, he went on to enjoy national celebrity as Coronation Street’s Fred Elliott. The role of Monsieur Firmin is currently played by Siôn Lloyd. We understand that John passed away in the 1990s, although precise information is hard to come by. In his lifetime, he appeared on screen in Absolute Beginners and Labyrinth and on stage, John also created the role of Pirelli in Hal Prince’s London production of Sweeney Todd. The role of Piangi is currently played by Paul Ettore Tabone. By the time it turns 30 on 9th October 2016, Phantom will have played a staggering 12,500 performances in London alone – that’s an awful lot of chandelier near-misses! Back in 2006, THE PHANTOM OF THE OPERA became the longest running show in Broadway history and on 26th January 2013, Phantom celebrated an amazing 25 years on Broadway. It seems audiences all around the world just can’t get enough of the Opera Ghost and his ethereal protégé. You can buy tickets now for the Original London Production of Andrew Lloyd Webber’s PHANTOM OF THE OPERA, with the show currently booking until 4th March 2017. Are you a Phan of the Phantom? Have you seen the show hundreds of times? You might be a Musical Theatre Superfan!